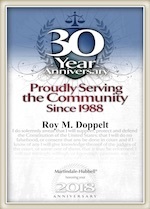 The San Diego Divorce attorneys at The Law Offices of Doppelt and Forney, APLC can help you through your divorce, legal separation or paternity case. Contact us today to schedule a free consultation with one of our experienced lawyers. An unfair reality –children of divorce are more likely to divorce as adults. Until recently, it was believed this was due completely to nurture, not nature. The case for nurture: Children of divorce learn relationship skills and conflict management skills from their parents. Children who grow up with parents who do not handle conflict well are more likely to repeat that same behavior as adults. Divorcing parents also affect how their children feel about commitment. Even in early relationships, these children tend to have less positive views on marriage, a lower level of commitment to their partner and a much more pessimistic view about their relationship compared to a child in a two-parent home. This all makes sense. But according to a study by researchers at Virginia Commonwealth University and Lund University in Sweden, genetic factors, not environmental factors, are the primary explanation for why children of divorce are more likely to divorce as adults. The study analyzed data from almost 20,000 Swedish adults who had been adopted as children. Surprisingly, they found it to be more likely that the adoptees had divorce histories resembling their biological parents and siblings, instead of their adoptive parents. The passing of certain personality traits, like neuroticism and impulsiveness, from parent to child is most likely the cause. Studies have shown that certain personality factors make it more difficult for someone to stay in a relationship, or for that matter, another person to want to stay in a relationship with them. That is not to say environmental factors still do not play a large part in the likelihood of divorce as adults. Are you going through a divorce? Don’t go through it alone. If you live in San Diego, our divorce lawyers are here to help you through every step of this often confusing and emotional process. Our lawyers have over 50 years combined experience in California family courts. We serve clients throughout the San Diego metropolitan area, including clients residing in Chula Vista, Carlsbad, Coronado, La Mesa, Vista, La Jolla, Del Mar, Ramona, Oceanside, Point Loma, and other nearby municipalities.